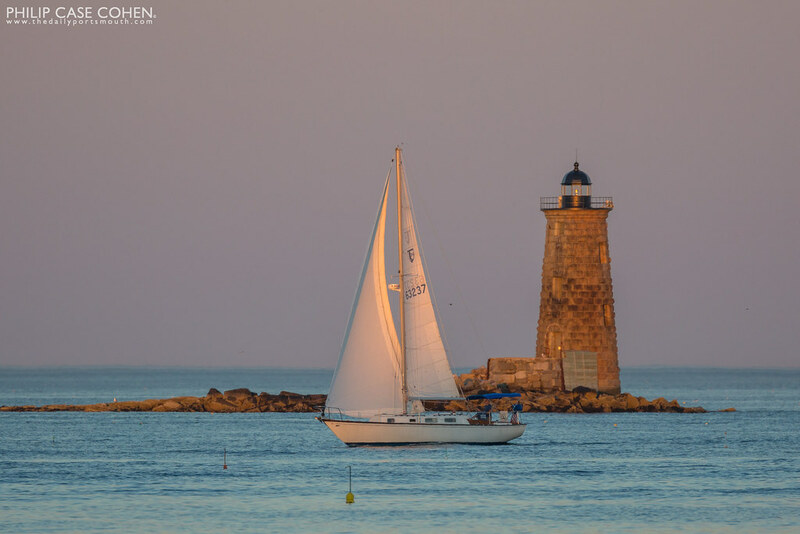 A beautiful night on Great Island Common as the sun’s last light strikes Whaleback Lighthouse and a sailboat off the coast of New Hampshire. The Aquarius sits anchored just off the shore of New Castle, NH basking in the rich orange hues of a gorgeous sunset. Once spring and the warmer weather arrives each year, I always feel more drawn to being out on the water. 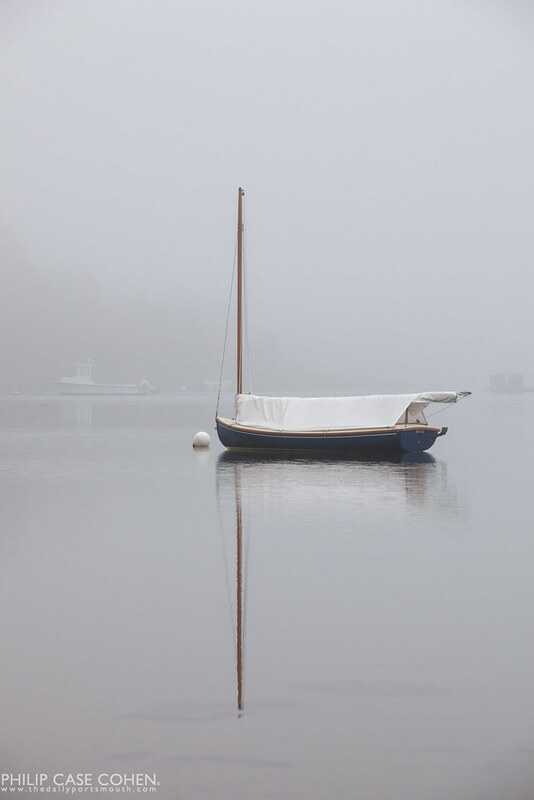 On a particularly foggy afternoon, I went for a drive around the seacoast to explore some photo opportunities. 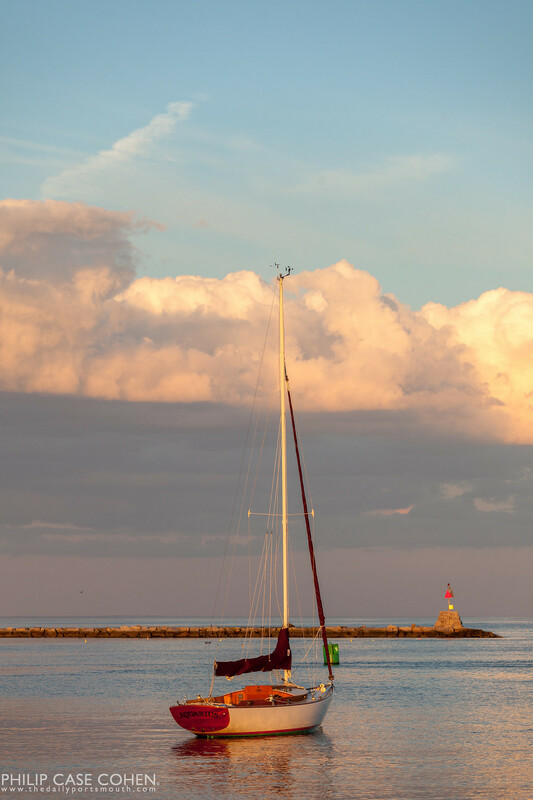 As soon as I saw this sailboat at rest along with a few others off the road in New Castle, I had to stop. To our north, Maine enjoys a much longer coastline than we do here in New Hampshire. That is a great thing, so I decided to travel up the coast with some family over the weekend to go for a wet walk on the Marginal Way. We broke up our stroll with a delicious and traditional lobster-shack type meal in the warm interior of Barnacle Billy’s (complete with fire). I had never came over to this side of Perkins Cove before – and sure enough, it was worth the visit. 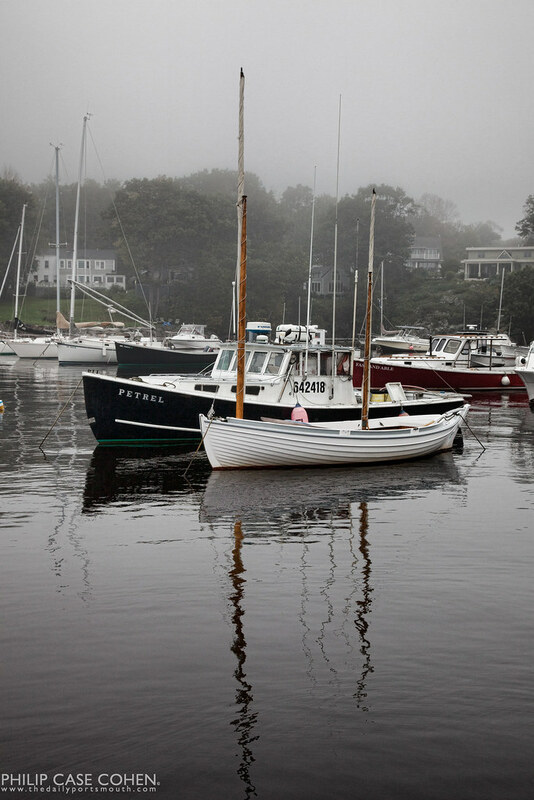 I loved the foggy atmosphere and the absolutely classic coastal look with the various sailboats and fishing vessels. Fort McClary was one of the military’s defensive fortifications (primarily throughout the 19th century) along the Atlantic Coastline, and is located in Kittery Point on the Maine side of the Piscataqua River. The site is gorgeously located at the top of a hill, now overlooking a marina of some sort – creating a serene waterfront view. I decided to venture up into the cool blockhouse that was built in the 1880s (and has since been renovated) before heading up to Fort Foster for sunset. 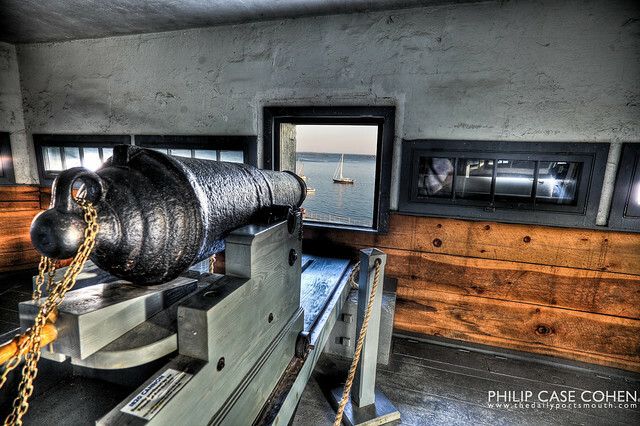 The blockhouse is pretty awesome, and I stumbled upon this beauty of a scene…with the cannon mounted in the window (and coincidentally aimed directly at a peaceful sailboat). Loved the visit here… and got some beautiful shots that might make an appearance here at The Daily Portsmouth. Thanks for visiting and Happy September!